It all started back in the summer of 2008 with a God-experience to "be real to His people". One Sunday morning at Great Bridge Presbyterian Church, a lady came up to the welcome desk to ask me about a cancer support group. I told her I would research it for her and that was the beginning of the list, the ABBA List. As the list grew, I began to plan for the website. This would allow for quick and easy access of support resources for churches and people in the community. My idea focused on the city of Chesapeake only, but it grew quickly to include all of the Hampton Road cities! For me, doing this on the web and for Hampton Roads is impossible, but for our God, all things are possible! He receives all the glory! The original website launched in August of 2010. A few months later, I was invited to attend a meeting where people had prayed for this type of website. I thought I had been slow to walk this path "be real to His people." This community meeting had validated that I had followed the path the Lord indeed had laid before me. The website you are now visiting launched in January 2015. 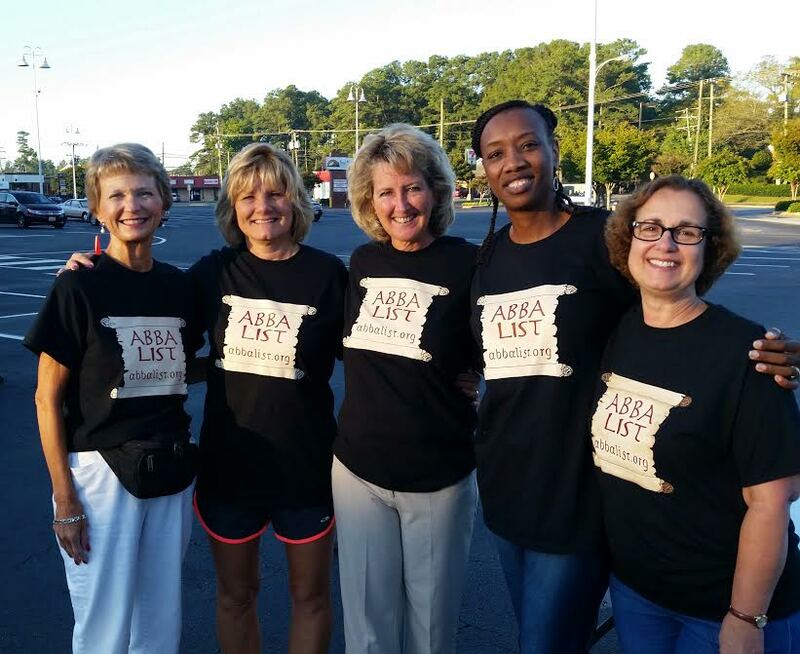 ABBA List is organized as a nonprofit organization (501c3), has a board of directors, sponsors, donors, fundraising activities, etc. I pray the website blesses many and helps the hurting, the hungry, those in need find supports and resources. God bless you. ABBA LIST PARTNERS WITH "DANCE YOUR SHOES OFF"